Provides comfort over any type of bed. I just purchased the beautyrest quilted memory foam mattress pad after Serta down alternative mattress pad exploded in our washer this evening (9/24/2017). What a mess that was, stuffing everywhere in the washer! It literally split at the seams on the underside of the mattress pad, but before this happen it was a nice mattress pad and fit our very large/deep stearns & foster mattress well (we need at least 22 inch deep pockets on sheets, mattress pad). The beautyrest quilted memory foam mattress pad barely makes it over the comers of our mattress with extreme pulling! I actually tore it slightly on one side pulling on it that hard just to make it fit! Other than that it's an ok mattress pad, thin, made of fair quality, and the memory foam does trap heat. Definitely not a cooling mattress pad at all! For us it works in a pinch. However, we will be looking for something else that fits better. I hope this review is helpful to prospective buyers. Home territory searches the web to find the best prices and availability on Mattress Pads and related products foir your home like Beautyrest Quilted Memory Foam Mattress Pad in Multiple Sizes. For this page, related items include products we find that match the following keywords: "Mattress Pad" at our vendor partner Walmart - Click More Info / Buy Now to check for price rollbacks!. 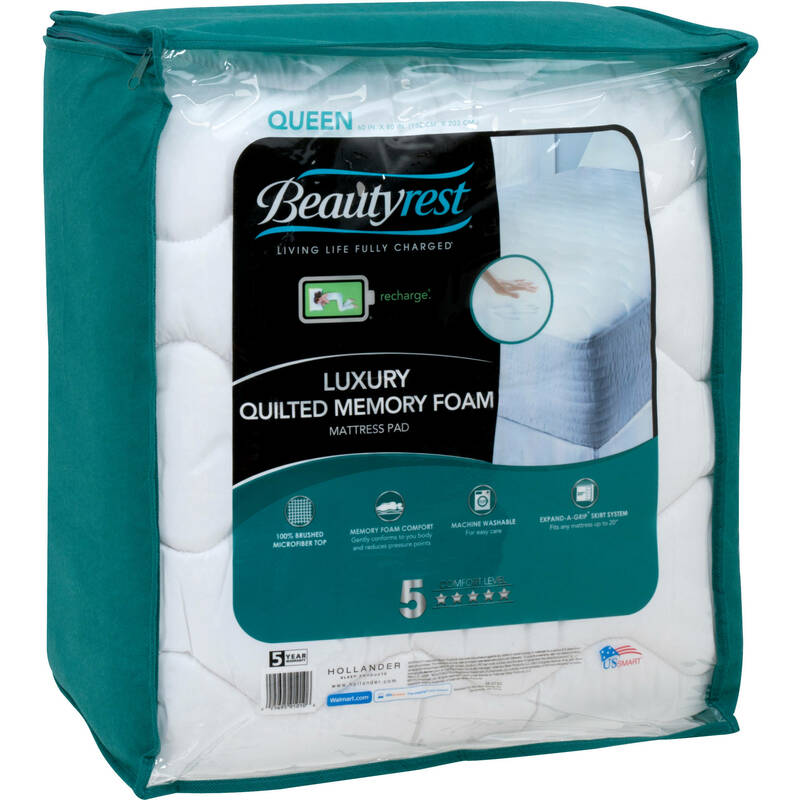 Beautyrest Quilted Memory Foam Mattress Pad in Multiple Sizes is one of 61 Mattress Pads and related products available for sale through HomeTerritory.com, If you have any questions on this product, please give us a call at 734-971-1210 during the hours of 9am - 5pm EST for assistance. Thank you for shopping at Home Territory, the home furnishings superstore!